NEW YORK – September 12, 2017– Let the fright fest begin, as Halloween Wars returns with a new season, a new special, and exciting new series, dishing out tricks and treats and frightful delights. The all-new special, Road to Halloween Wars, kicks off the seasonal celebration on Sunday, October 1st at 8pm ET/PT, as host Jonathan Bennett takes viewers behind the scenes of the journey leading up to the pumpkin carvers, cake and sugar artists that embark on the latest Halloween Wars competition. Year round, these gleefully ghoulish geniuses work to hone their craft, with dreams of Halloween Wars victory! 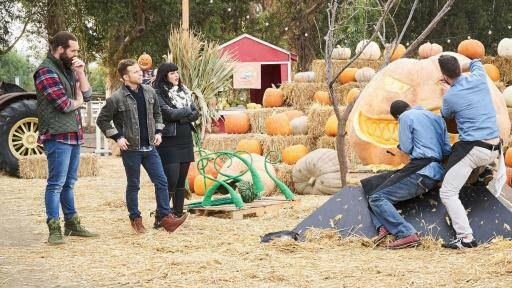 Then Halloween Wars returns for a new season on Sunday, October 1st at 9pm ET/PT, when Jonathan Bennett challenges six teams to create amazing and frighteningly fun Halloween-themed edible displays. 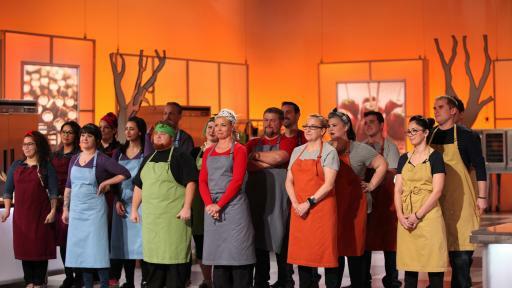 Over five episodes the teams must battle it out, as their creations are judged by renowned cake decorator Shinmin Li and horror film director and makeup effects master Todd Tucker, along with a rotating panel of celebrity guest judges, including Fiona Dourif (Child’s Play franchise), Bryan Fuller (Executive Producer, American Gods), Juliet Landau (Buffy the Vampire Slayer), Robert Patrick (Terminator 2: Judgment Day), and Shane West (The League of Extraordinary Gentlemen).One team will be eliminated each episode, with the last team standing walking away with the $50,000 grand prize. 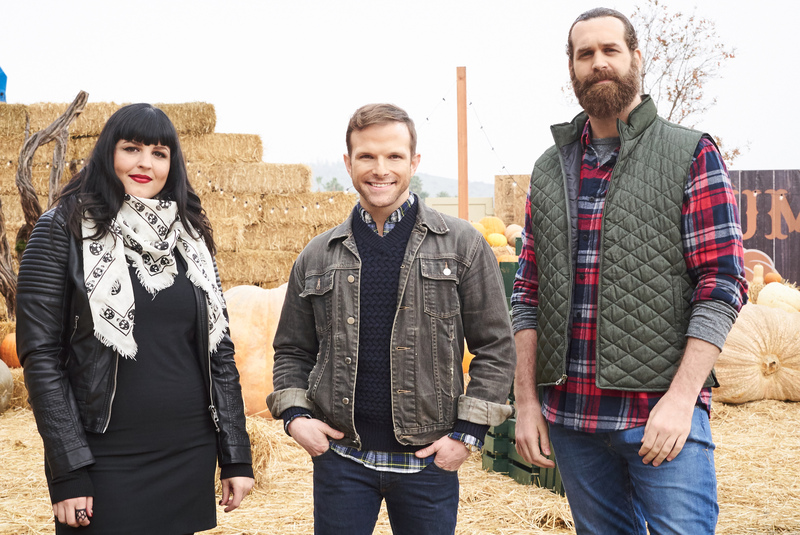 Halloween chills and thrills continue as new series Halloween Wars: Hayride of Horror takes the competition out of the kitchen and into the pumpkin patch. 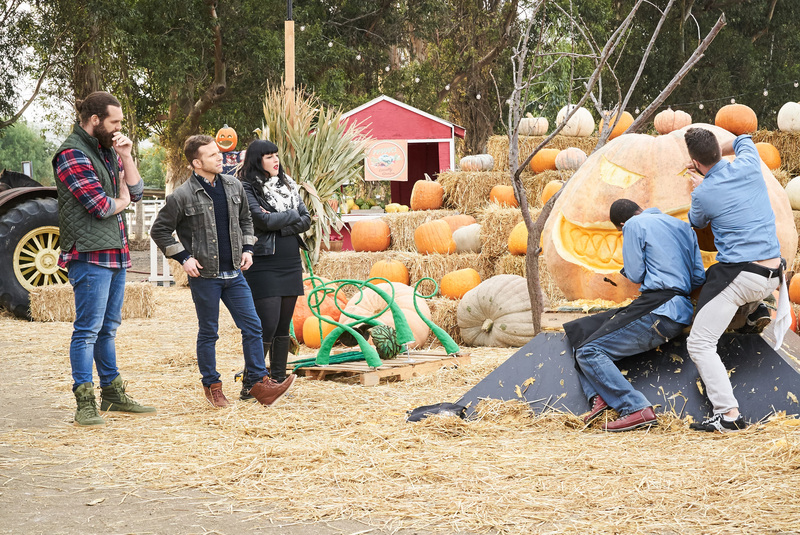 When night begins to fall and the pumpkin patch closes for the day, two teams of master food artists - working in cake, sugar, and a whole lot of carved pumpkin - face off to create terrifying Halloween displays through three episodes, with one team taking home $15,000 each episode. But to win the cash prize, the winning team’s displays of horror must win the votes (and screams) of a wagon full of hayriders and judges Zac Young and Bianca Appice. 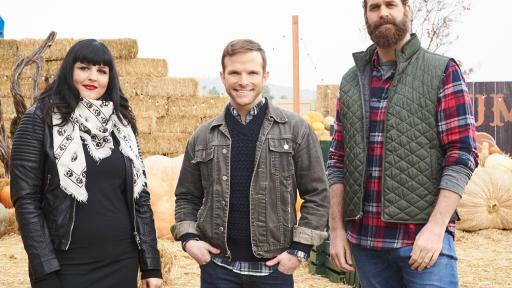 Hosted by Harley Morenstein, Halloween Wars: Hayride of Horror premieres Monday, October 2nd at 10pm ET/PT on Food Network. For more frights and delights, visit FoodNetwork.com/HalloweenWars to browse photos of the epic displays, meet the teams, and see pictures of the best hayride experiences. Plus, fans can follow all the ghoulish creations and share their scariest Halloween night stories on Twitter using #HalloweenWars. Premiering Sunday, October 1st at 9pm ET/PT - SEASON PREMIERE! 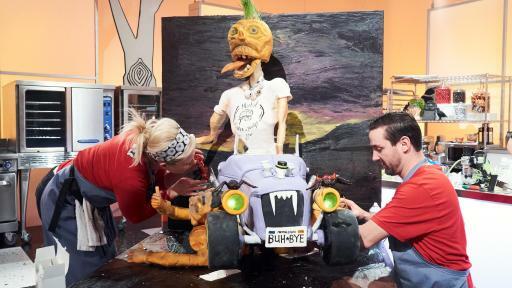 Six teams made up of an expert pumpkin carver, a cake artist and a sugar artist, go into battle to create mind-blowing and yummy Halloween-themed displays that depict what happens when hitchhikers find themselves driving towards disaster when they accept a ride from a terrifying stranger. 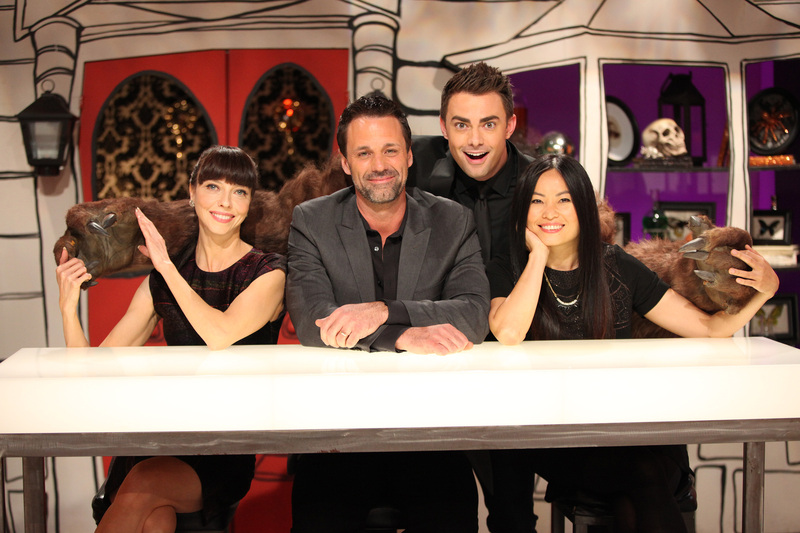 Special guest judge Shane West joins host Jonathan Bennett and judges Shinmin Li and Todd Tucker. Five remaining teams made up of an expert pumpkin carver, a cake artist and a sugar artist go into battle to create amazing and tasty Halloween-themed displays that ask the question: “What if the mask you wore was a human face, and underneath you were a horrific, hideous monster?” Special guest judge Robert Patrick joins judges Shinmin Li and Todd Tucker to determine which team will be going home. Four remaining teams made up of an expert pumpkin carver, a cake artist and a sugar artist go into battle to create astonishing and delectable Halloween-themed displays that capture what happens when the most macabre monsters throw their own ghastly Halloween party! 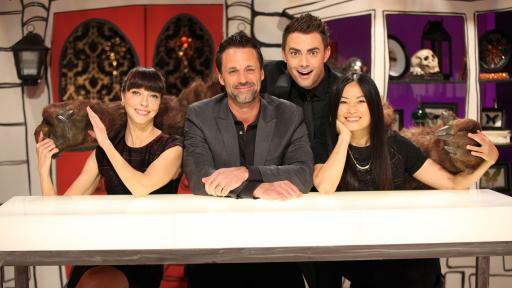 Special guest judge Juliet Landau, along with judges Shinmin Li and Todd Tucker, determine the teams that advance. 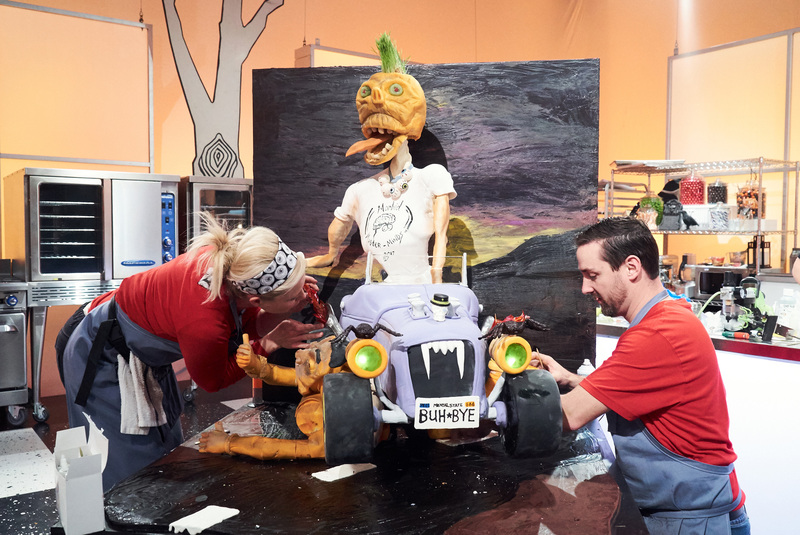 The final three teams made up of an expert pumpkin carver, a cake artist and a sugar artist go into battle to create stunning and scrumptious Halloween-themed displays that imagine what happens when a ghastly undead ghoul hosts their own zombie cooking show! Special guest Bryan Fuller joins the judging table with judges Shinmin Li and Todd Tucker to see which teams move on to the finale. Premiering Sunday, October 29th at 9pm ET/PT - SEASON FINALE! It’s the spine-tingling finale of Halloween Wars! Our final two teams made up of an expert pumpkin carver, a cake artist and a sugar artist have slaughtered their competition one-by-one, and now must face off in one last epic showdown. The team that can best illustrate the final seconds before a deadly danger strikes will be crowned Halloween Wars champion and win $50,000! Special guest judge Fiona Dourif joins judges Shinmin Li and Todd Tucker to crown the season winner. Premiering Monday, October 2nd at 10pm ET/PT - PREMIERE! When night begins to fall and the pumpkin patch closes for the day, two teams of master food artists face off for the first of three nights of Halloween fright. To win, the teams must combine cake, sugar, and carved pumpkin to show what happens when the ultimate nightmare comes true: what happens when scarecrows come alive? At the end of the battle, one team takes home $10,000. The Hayride of Horror continues, as two teams of master food artists face off in another spooky battle. To win, they must combine cake, sugar, and carved pumpkin to show us what happens when the pumpkins they’re carving come to life, turn the tables, and take revenge on the unlucky carvers. In the end, one team walks away with $15,000. 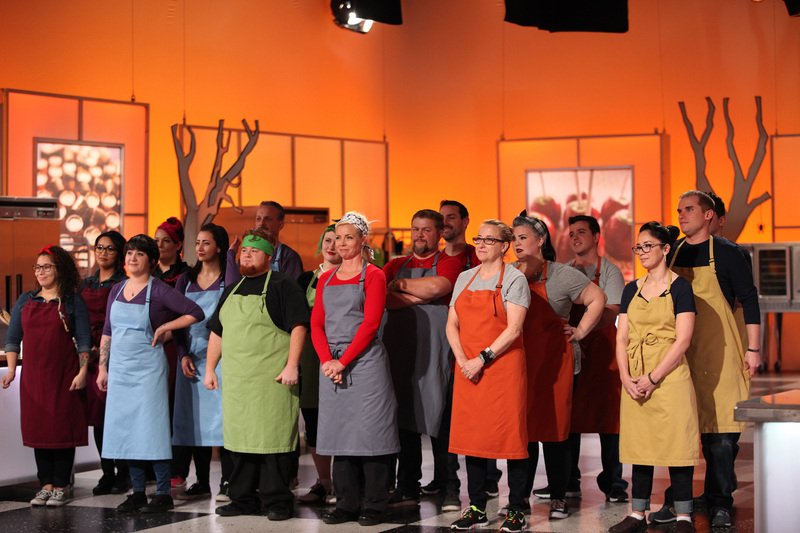 Premiering Monday, October 16th at 10pm ET/PT – FINALE! Another $15,000 is at stake, as our two teams of master food artists face off for one final battle on the Hayride of Horror. To win, the teams must combine cake, sugar, and carved pumpkin to show us how to survive the night escaping the demonic inhabitants of a possessed zoo.